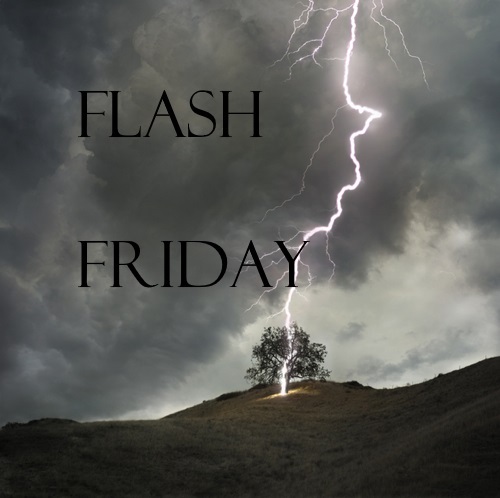 Welcome to the third Flash Friday! Today's story was inspired by a prompt from my sister-in-law, Carol-Ann Kinsella, so if you like this, you have her to thank! I'm currently working on a new project involving flash fiction and I should have an announcement her for you next Friday so stay tuned for that! I had a crush on Mr. Usher that whole year. I know, it’s totally cliché to have a crush on the student teacher but I couldn’t help it. He was gorgeous, only five years older than me and he seemed to understand me in a way no-one ever had before. When the chance came up to go on a school trip to the Edgar Allan Poe festival with him, well, of course I signed up. I spent the whole weekend making excuses to speak to him, joking about his name tying him to Poe, flirting in my clumsy way. I didn’t think he’d noticed the effect he had on me. I wasn’t even sure I wanted him to notice. I mean, it wasn’t like anything could happen between us, could it? By the last day of the festival some of the other girls had noticed my crush and were teasing me. Indirectly, in that mean way that teenage girls do. Walking just behind me, talking about “Roderick”, wondering whether he’d be a good kisser and other things that made my cheeks burn. There was still an hour to go when they started moaning about how hungry they were. When Miss Sparks came over to tell them to pipe down, they got even worse. “There’s only an hour left to see the rest of exhibits,’ Miss Sparks answered. I raised my hand. I was the only one. Twenty hands shot into the air. It looked like I was going to miss the exhibit I had wanted to see most. “I’m sorry, Catherine, the majority has spoken,’ Miss Sparks said, looking apologetic. “Roderick to the rescue,” muttered Emma. “We’re not really supposed to split up,” Miss Sparks said, frowning. “I won’t tell if you don’t,” Mr. Usher answered, grinning. Miss Sparks looked at me, standing with my hands behind my back, fingers crossed out of sight, trying not to look as desperately hopeful as I felt. I tried to choke down the giddy laugh bubbling up in my chest. I would get to see the original locked-room murder mystery and be alone with Mr. Usher! The exhibit room was set up just like the murder scene in the Rue Morgue, right down to tufts of hair and a bloody straight razor. Hair hung down into the fireplace from a very life-like wax work that was poking out of the chimney. The two women who were there when we arrived, smiled and told me to look out the fake window as they left. I leaned out the window to see a waxwork orangutan about six feet beneath me. When I straightened up, Mr. Usher was standing very close to me. My heart started to race and I could feel the blood rushing to my face. “I thought I’d never get you alone,” he said, giving me a shy half-smile. “What do you mean?” I croaked, my throat suddenly dry. I opened my mouth and then closed it again, not sure what to say. “I’m only your teacher for another month. Then I’ll be moving on, we can be together.” He moved closer to me as he spoke, until I could feel the heat radiating from his body. My palms were sweaty and I wiped them on my jeans. His face was only a few inches from mine. He watched my eyes as he tilted his head and moved in to kiss me. “This is a bad idea,” I mumbled but made no effort to move away. Will he kiss differently to the boys at school? “Tell me this isn’t what you want,” he whispered, his breath tickling my lips. Then his lips were on mine and I lost myself in the kiss. Heat raced through my body; this was the best kiss of my life. So far. I pressed myself against him, greedily, my breath coming in gasps and he responded in kind. I breathed him in deeper and deeper until I felt I would explode with him. Eventually, I broke away and he fell to the floor, drained, his body nothing but an empty husk. Dammit, I thought he might have been a match for me. I prodded him with my toe, wondering what to do with the body, while my breathing slowly returned to normal. I scanned the room, disappointed at the turn of events, pressing my fingers to my still-tender lips. With regret, I lifted his body and pushed it over the window-sill, letting it fall at the feet of the orangutan I had spotted earlier. Hopefully any other visitors to the exhibit would think it was a wax work. At least, until after I caught the bus home. Mum would kill me for taking such a risk. I should know better than to kiss in public.